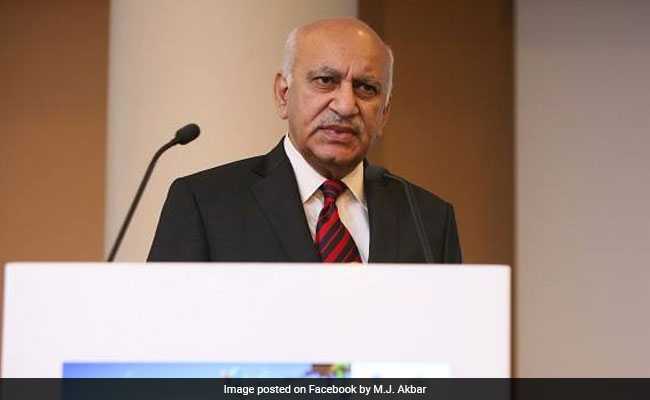 MJ Akbar had stepped down yesterday, saying as he had filed the case in his "personal" capacity, he thought it "appropriate" to step down from office and "challenge false accusations levied against me, also in a personal capacity". In a 41-page criminal defamation petition to a Delhi court against journalist Priya Ramani, MJ Akbar said her article and tweets accusing him of sexual harassment spoiled his reputation and goodwill, and he had to quit his job as the junior foreign minister in Prime Minister Narendra Modi's government because of her allegations. Her tweets and article, his lawyers said, were widely read and even picked up by the media abroad. "Whilst it is apparent that the accused has resorted to a series of maliciously serious allegations which she is diabolically and viciously spreading in media, it is also apparent that false narrative against the complainant (Akbar) is being circulated in a motivated manner for the fulfillment of an agenda," the petition read. The deputy of foreign minister Sushma Swaraj, Mr Akbar was abroad on an official tour when his name cropped up in the MeToo movement. On his return, he had trashed the allegations, saying he would take legal steps. Mr Akbar had stepped down yesterday, saying as he had filed the case in his "personal" capacity, he thought it "appropriate" to step down from office and "challenge false accusations levied against me, also in a personal capacity". Mr Akbar, who was not in court today, was represented by senior counsel Geeta Johri. The court, which agreed to hear the case, has asked him to record his statement on October 31. The former minister contended that the journalist, while making allegations relating to events that allegedly occurred 20 years ago, "intentionally put forward malicious, fabricated, and salacious imputations to harm the reputation of the complainant". Under the law, defamation carries a two-year jail term or a fine or both.